Wildlife and nature are two major aspects of our environment, and to explore this combined beauty of nature, Kaziranga National park is the best option. For photographers and wildlife lovers, this national park is a paradise. If people think that rare individuals are only found in Australia or Africa, then they should definitely visit Kaziranga. With its wide variety of flora and fauna, this place is going to give you an experience of a lifetime. It is a very popular tourist destination and is home to every wild individual. You will be mesmerized by the beauty as it captivates all elements of nature. With its area of 430 sq. km, this place is the most visited wildlife destination of India. Covered with meadows, marshy tidal ponds, and thick backwoods, the one-horned rhinoceros population in Kaziranga is 2,413. So, if the thought of seeing one-horned rhinoceros in Jurassic-era ever crossed your mind, then you should pack your bags and visit this National Park to see this rare creature. Put simply, the 2/3rd population of the species reside here. Another matter of pride for this National Park is that in 1985, it was titled as the World Heritage Site by UNESCO. India, Lord Curzon further led to its creation. A whole series of meetings were conducted before the creation of Reserve Forest with an area of 232 km 2 in 1905. The National Park also has mating space for elephants, wild water buffalo, and deer residing in marshy places. As Kaziranga was identified to have the highest density of tiger population, it was proclaimed as Tiger Reserve in 2006. BirdLife International also considers the park as a significant area for birds as they conserve avifaunal species. White-fronted goose, ferruginous duck, greater adjutant, black-necked stork, and Asian Openbill stork especially migrate from Central Asia and reside here during cold climate. This park is famous for conducting events and promoting initiatives that help in the conservation of endangered species. The initiatives are popular worldwide and are attended by many people. This place becomes more heavenly with the splendid presence of Brahmaputra River. The beautiful view of the river adds a majestic touch to the national park. In the mid-nineteenth century, the area present around the Kaziranga National Park was not developed at all. It was famous for wild creatures, malaria, small disasters, and unusual changes of the course of the Brahmaputra River. The historical records of the Kaziranga land date back to the seventeenth century. Some say that the name of the region originated with Karbi, a lady who led the locale at one time. With the increasing growth of the tea business in Assam, gradually, the woods in the territory were cleared for settlements and tea estates. In that time, the locale rehearsed some slash and burned cultivation, while the British built some permanent colonies for tea cultivation. The story of Kaziranga dates back to the time of the 1900s. Mary Curzon, the wife of Lord Curzon, was the one who started the whole process. This place was characterized by the presence of one-horned rhino, but she couldn’t even find one during her visit. Saddened by the incident, she told her husband, the Viceroy of India, to do something about it. The Reserve Forest was then created in 1905. As years passed, the Reserve Park of 232 sq km turned into national Park of 430 sq km. This change has been amazing, and Kazaringa is now the most visited tourist destination. Exploring wildlife is fun when you are in Kazaringa as the place gives something different with every step you take. The park was formally known as Reserve Forest in 1908, a game sanctuary in 1916 and was declared Kazaringa National park after India got its independence. The park was established in 1950. 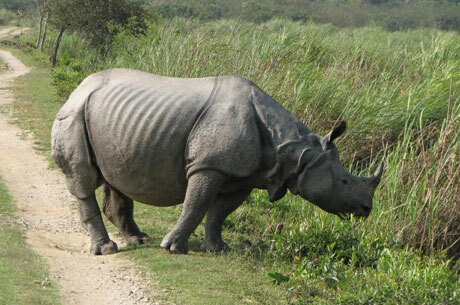 In 1985 UNESCO proclaimed Kaziranga as the World Heritage Site. The park was hit by floods many times, and the park was submerged 70% once. But with the help of officials and locals, the park was re-established, and now it is flourishing day by day. The Park is now a place for the entire wildlife, and everyone is taken care of. There is Kaziranga Elephant Festival that happens every year. The Assam tourism has increased tremendously because of this national park. The national park houses a huge breed of mammals. The wildlife here is famous because of some rare species of mammals. One horned rhinoceros- This vulnerable species resides with utmost happiness here. The fun fact about this mammal is that to battle the heat these rhinos eat during the chilled phases of the day and rest in rivers during the hotter phases. Wild Buffalo- With height reaching up to seven feet, this mammal is the largest animal in North America. Most of its population resides in Asia and Africa. Eastern mole- This mammal originally belongs to America, but can be found here. Pangolin- This particular species is the most trafficked animal and is therefore conserved by this national park. Assamese macaque- A native animal of Assam and is soon going to be extinct. Rhesus macaque: Another soon-going-to extinct species of Old World Monkeys which is conserved by Kaziranga. Large Indian civet and small Indian civet- Their name has been listed on IUCN Red List. Ganges and Indus river dolphin- Is one of the most endangered water species found in Kaziranga. Worldwide and are conserved here. The variety you can see here is amazing, and therefore this place is worth a visit. Snakes- People who love these slimy creatures can find their love in Kaziranga. With their variety of snakes, you are sure to become nervous and excited both. Some of the species found here are Black krait, Bengal cobra, banded krait, common kukri snake, checkered keelback water snake, common or long-nosed vine snake, copperhead trinket snake, common krait, king cobra, pit vipers, rock python, reticulated python, rat snake and striped keelback. Lizards: Species of lizards found in Kaziranga are Assam greyish-brown gecko, Assam olive-brown skink, Assam greyish-brown gecko, common Bengal monitor, common Indian skink, dotted garden skink, Indian water monitor, light-olive Assam garden lizard, ticticky house gecko, and tuck to gecko. Turtles and Tortoises: Assam roofed turtle, brown roofed turtle, brown hill tortoise, Gangetic or Indian softshell turtle, Indian roofed turtle, Indian tent turtle, Indian eyed turtle, Indian peacock softshell turtle, Indian flap shell turtle , Indian black turtle, keeled box turtle ,Malayan box turtle , narrow-headed softshell turtle , spotted pond turtle and Oldham’s leaf turtle. Crocodiles: The gharial also known as Indian gavial or gavial, is the only living species of the family Gavialidae. These crocodiles are characterized by long, slender snouts. It is another reptile that is endangered and has its name mentioned in the Red list of IUCN. Other species of crocodiles found here are Mugger crocodile and the saltwater crocodile. It is the longest of all existing crocodiles. The waterfowl category of birds can be seen here; these include lesser white-fronted geese, ferruginous pochard and Baer’s Pochard. There are also other forms of river birds namely kingfishers (Blyth’s Kingfisher), herons (white-bellied heron), pelicans (Dalmatian pelican, spot-billed pelican), shanks (spotted greenshank) and terns (black-bellied tern). Some birds migrate to Kaziranga from South Asia during winters. They include lesser adjutant, greater adjutant, black-necked stork, and Asian Openbill. You can find birds that feed on vertebrates, known as raptors in Kaziranga. These ensure a balance in the ecosystem. The species of raptors found here are the rare eastern imperial eagle, greater spotted eagle, white-tailed fishing eagle, Pallas’s fish eagle, grey-headed fish eagle, and the lesser kestrel. 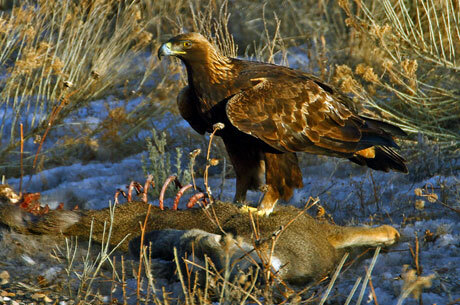 Other birds include partridges, bustards, and pigeons. Other bird families that reside here include rare species of hornbills (great Indian hornbill and the lesser risk wreathed hornbill), Old World babblers (Jerdon’s babbler, marsh babbler) and weavers, thrushes and Old World warblers. Some more threatened species include the black-breasted parrotbill and Rufous-vented Prinia. Alluvial inundated grasslands, alluvial savanna woodlands, tropical moist mixed deciduous forests, and tropical semi-evergreen forests are the major vegetation types that grow in the park. The beauty of the national park comes because of the huge vegetation that grows here. It gives the park a very photogenic and majestic look. The whole of its area is covered with flora- the open jungle is around 29%, tall grasses covers around 41%, and short grasses covers around 11%. The western part of the park is at a lower altitude and is basically covered with grasslands. Huge elephant grass is found on the ground that is at a little height, and short grasses cover ponds that are created because of the floods. Yearly flooding, eating by herbivores, and controlled burning, preserves and fertilizes the fields and reeds. Regular tall grasses are sugarcanes, stick grass, elephant grass, and the basic reed. In the middle of the grasses, there are overwhelming species, including kumbhi, Indian gooseberry, cotton tree, and elephant apple. lakes. Water hyacinth is a general aquatic flora which is found here. Mimosa invisia was another water plant which was popular here. Evergreen species include The Pithraj tree, Magnolia hodgsonii, elephant apple, Garcinia, Ficusrumphii, Cinnamomum and species of Syzygium. Tropical semi- evergreen species include white siris, Duabanga, Lagerstroemia speciosa, Crateva, Sterculia, Grewia, Mallotus, Brideliaretusa, Aphania rubra, Leeaindica, and Leeaumbraculifera. fertilizers and farming are being carried out. They are finding effective methods so that the park is safe from contamination, forest fires, and various such issues. The vegetation as huge as its wildlife and therefore a balance is maintained between them. This ensures that no problem sustains in the environment. The wildlife and environment, both are being conserved for a better environment. The rare species are preserved with greater care to make it survive for the upcoming years. This initiative by Kaziranga has proven to be of great help for nature. Kaziranga National Park has a jeep and an elephant safari tour. The timings are assigned and only on those allocated timings, you are allowed inside the forest. You should not bring anything that will be harmful to the animals and should maintain peace. It is not at all advisable to go during the night by any means as it could be dangerous. The safari is meant for enjoyment purpose, and you should have fun while seeing the wildlife. Any trouble caused by any individual will not be tolerated and the person will not be allowed for further traveling. As you are invading wildlife’s privacy, you are expected to be respectful. 8:00 AM to 10:00 AM in the morning time when you can enjoy the safari. 02:00 PM to 04:00 PM is the afternoon timing of the jeep safari. 06:30 / 07:30 is the morning time for elephant safari. By air: There are two airports from where you can reach Kaziranga. One is Guwahati which is located at a distance of 217 km and is more convenient. The other one is located in Jorhat at a distance of 97 km. You can choose whichever way is more convenient for you. By train: Furkating is the nearest railway station located at a distance of 57 km from Kaziranga. This means of transport is the most convenient and affordable. People opting for not so expensive type of transport should definitely opt for trains. Kaziranga. It has some cafes and market around it. This is for the tourists, so that they can eat before entering the premises of the park. There are various bus facilities from Kohara to Guwahati, Tezpur. This is also a comfortable way of traveling. You can eat and shop before you explore the beauty. 1. Addabarie Tea Estate- Addabarie Tea Estate- This place is a paradise for all the tea lovers out there. Interestingly, some of the hotels around Addabarie have rooms named after teas. The place is filled with different kinds of tea, and you can possibly taste everything. The major attraction here is Wild Mahseer, the bungalow. This bungalow depicts Assam-British colonization. It is an amazing place to visit and is not very far from Kaziranga. 2. Deopahar- This place is for all the history lovers. It is an archaeological site and has ruins and statues from ancient times. The place itself speaks history. It covers an area of 135 hectares and is also a reserve forest. There are old statues of Vishnu and Shiva that come as a religious spot for Hindus. Winter is the best season to visit Deopahar and to enjoy the historical view. 3. Manas National Park- Situated on the shores of Manas river at the lower regions of Himalaya, this place is the most pictorial park in the region that is 176 km from Guwahati and was before known as Kamrup Wildlife Sanctuary. Much like Kazaringa, you can enjoy wildlife here. Assam is known for its nature and wildlife. So, grab all of it when you are there. 4. Nameri National Park- This National Park is the most scenic one with the presence of bifurcating river Jia Bhoroli to cover an area of 200 sq km. Set up as a sanctuary in the year 1985, the park attained the national park designation in the year 1988 with great amounts of faunas, avifaunas and floral sections in the area with the abundant presence of herds of elephants. The view here is amazing and is probably the best place for all the photographers out there. Grab your camera and get ready to click! 5. Orang National Park- This place is very similar to Kaziranga in the manner of its background and therefore it is also known as “mini Kaziranga”. It is believed that Orang tribe once settled here and so the name. They emptied the forest zone, and it was transformed into a game reserve. This all changed in 1999. Now this area is home to wide varieties of plants and animals. There are around 26 man-made water bodies inside. 6. Hoollongapar Gibbon Sanctuary- The sanctuary is home to some of the rare animals in India such as the hoolock gibbons and the Bengal slow loris. They have some of the most unseen varieties of apes. There are various other animals, birds, and reptiles that exist here. It is one of the most visited wildlife destinations after Kaziranga.The sanctuary is home to some of the rare animals in India such as the hoolock gibbons and the Bengal slow loris. They have some of the most unseen varieties of apes. There are various other animals, birds, and reptiles that exist here. 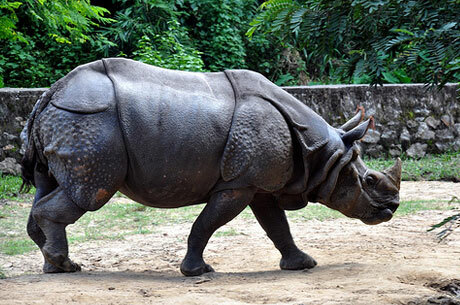 It is one of the most visited wildlife destinations after Kaziranga. 7. Kakochang fall- The Kakochang Waterfalls is found 13 km from Bokakhat in Golaghat locale, Assam. It is a lovely cascade that is concealed in nature’s heaven. The waterfall comes falling down in the middle of the coffee and rubber ranches of the region, making a picturesque scene. The Kakochang cascade is a mainstream picnic spot and is visited by local people and tourists. There is a great deal of room around the lake that is perfect for picnickers. One can see the ancient demolishes in Numaligarh from the Kakochang cascade. These ancient vestiges are of archaeological importance. 1. Guwahati- Being the capital of Assam, the place is an amalgamation of religion, industrialization, wildlife, and nature. Assam State Museum, SrimantaSankardevaKalakshetra are the major spots that depict Assamese culture. Devotees come from all over the nation to pray at Kamakhya Temple that idolized Goddess Durga. The hustle of this city is never-ending. You should also try some local Assamese food here. 2. Shillong- It is situated in Meghalaya and is a beautiful hill station. Lei Shyllong is being prayed at the peak of Shillong, and that’s how it got its name. This hill station is known for its pleasant sights and conventions. The calming atmosphere makes Shillong convenient to visit in all seasons. The lights and the cooling delicate breeze add to the delight of Shillong. This place is otherwise called the “Scotland of the East”. One can discover the Khyrim, Mylliem, Maharam, Mallaisohmat, Bhowal and Langrim tribes. Various waterfalls can be seen in Shillong. 3. Dibru-Saikhowa National Park- The park covers about 350 kilometers and is home to the endangered and threatened species. This area is developed so that wildlife can be conserved and biodiversity can be balanced. This is also located in Assam. Any sort of occupation that endangers the life of the animals is prohibited. This park is covered by Brahmaputra River and Arunachal hills from the north and Dibru and Patkai hills from the south. The view is unimaginably beautiful, and the place is perfect to know more about wildlife. It is obvious that nowhere in India you will get to experience such an amazing fall of wildlife. This place is truly magical. With all the flora, fauna and rivers inside it; it feels like confetti of nature. Whether Indian or foreigner, Kaziranga National Park should be the next thing to do in your bucket list! From May to October the Park remains closed for all the tourists, so obviously you can visit the park only from November to April. Summer- The summer months here are March, April, and May. And since it closed in May, you can pay a visit to the park in March and April. April is recommended because the climate is a little pleasant and you will see animals grazing around rivers and ponds. Monsoon- It is best not to come to here from June to September as Assam receives heavy rainfalls. This is the reason the park is closed from May to October as there are chances of flooding. February. The climate is very pleasant and soothing at this time. Also, the probability of seeing one-horned rhino is most during this period. Looking to book a Safari in Kaziranga National Park ? Our wildlife experts are here to help.